Invasive plant species have been cited as the second-largest threat to endangered native plant species. Most noxious plant species in New Mexico are found on rangelands and wild lands. These invasions result in decreased forage availability for livestock and wildlife. The Noxious Weeds Management Act directs NMDA to develop a noxious weed list for the state, identify methods of control, and educate the public about noxious weeds. NMDA coordinates weed management among local, state, and federal land managers, as well as private landowners. CWMAs are a partnership of government agencies, tribes, individuals, and various groups to manage noxious weeds and/or invasive plants. Many CWMAs provide technical assistance, equipment, and educational opportunities related to noxious weed identification and management. 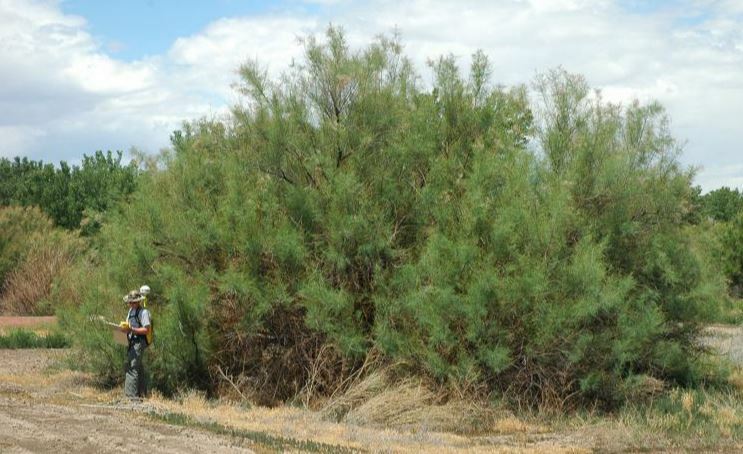 Contact NMDA’s Jim Wanstall (jwanstall@nmda.nmsu.edu) to learn how you can participate in the management of noxious weeds and invasive plants in New Mexico.